A manufactured home can be a great alternative for you if you are looking for the most square footage for the lowest price. The modern, residential-style construction and design of some of the better brands will surprise you if you haven't looked in a while. A custom-cambered frame. This will result in a flat plate-line while the home is in transit, avoiding much of the damage that occurs during transport. Floor joists that run the opposite direction of the structural I-beams. Oddly enough, some of the very cheaply made homes use longitudinal floor joists (running the length instead of the width of the home). Avoid particle board flooring (Nova Deck) at all costs! OSB (or Wafer board) is much better, while plywood seems to be the best. Check to make sure that all of the floor joists and walls (interior and exterior) are framed 16" on center. Make sure the carpet is 100% continuous loop nylon with stain resistance. Ask for a minimum of 5# rebond padding under the carpet. Also make sure the carpet runs wall to wall (is not stretched under the wall) and is secured with a tack strip (not stapled at the edge). Ask for 1/2" taped and textured Sheetrock throughout. Avoid the VOG (vinyl on gypsum) if at all possible. VOG has a much faster burn ratio and the fumes may be toxic. Real Sheetrock allows for future maintenance and you can paint or paper at will. Most manufacturers use a light to medium texture on the walls. Some Amish-built homes offer a smooth finished Sheetrock. Make sure the door trim and baseboards are real wood (not paper coated MDF, or plastic). Confirm that the exterior doors are 80" tall (residential height) and are 1-3/4" thick (residential thickness). This will avoid very high replacement costs. All interior doors should be 1-3/8" thick. Ask for residential (150# rated) hinges. Avoid the non-mortising hinges if possible. Request china, ceramic, or stainless steel sinks. Avoid plastic or fiberglass sinks in the bathroom and kitchen if possible. Make sure that the connection "spread" is a standard residential size on all sinks and fixtures. Avoid plastic or ASB showers and tubs! Ask for fiberglass tubs and showers. Ceramic showers are fine, but require more maintenance. Third-generation Pex plumbing is the best way to go for plumbing. It has a much better performance history than PVC or CPVC. Approximately 1:10 homes with PVC or CPVC will have a water leak upon setup after transport, while the number is closer to 1:100 with Pex. Avoid polypropylene plumbing (the gray pipe found in older manufactured homes)! Zone 3 energy rating is the highest available in the manufactured housing industry. You can see the energy rating on the HUD label that is posted (by law) in every home. This label is usually found in the kitchen or utility room. Some manufacturers have Energy Star construction or Green construction available, but very few actually build their homes to these standards. They are allowed to keep their factory Energy Star rated as long as they build at least one qualifying home per year at that location. Be careful when this is being pitched to you. There is one manufacturer based in Oklahoma that builds every double wide home Energy Star rated. If available, ask for the "crossover duct" to be built into the floor (on double and triple wide homes)--not flex duct under the home which is exposed (potentially) to the elements and animals. The wind rating is usually determined by the location of home placement. It is rated from 1 to 3. Wind Zone 3 is in a very small area on the coastline. Wind Zone 2 is within 90 miles of the coastline. Wind Zone 1 covers most of the continental U.S. Contrary to what many believe, adding extra "straps" or anchors does not change the wind rating of a manufactured home. Some of the better-built homes are built to withstand 140+ MPH straight winds. The width of the eave (roof overhang) is a quick indicator of the wind load construction of a manufactured home. The shorter the overhang, generally the lower the wind rating. There are specific requirements for construction regarding wind loads. No manufactured (or site-built) home is tornado or storm proof. Make sure the windows are Vinyl, Low E windows with welded corners. Argon gas is wasted unless you are at a high altitude. Avoid Masonite Siding! Hardi-Panel and SmartPanel are the most durable siding choices (SmartPanel travels better than Hardi-Panel). Vinyl is a poor second choice in most climates. The vinyl siding that is generally used in this industry is recycled vinyl. Experts will tell you that this means it has chalk and fillers added to it which will cause warping, fading, and/or chipping as it is exposed to UV rays. Avoid rolled metal roofing! Ask for architectural composition shingles in place of three-tab shingles. They have a better appearance and will last much longer with the lower-pitched roof that is common in the industry. Some manufacturers offer 29 gauge R-Panel Plus metal for roofing. The ridges are only 7/8" high and 9" on center. If it is not installed properly, it can be the source of expensive repairs caused by water leaks. The Pro-Close bump. This is where the salesman tells you everything you want to hear regarding the payment and interest rate, then gives you the bad news at closing that you didn't qualify for the special rate so the payment is going to be higher than you were told. Don't be fooled into thinking Modular Homes are superior to Manufactured Homes. When special-ordering a home, make sure you get to sign off on the actual order sheet. Never allow a dealer to pull your credit before you have decided which floor plan you prefer. If you are not signing a contract, do not allow them to pull your credit for any reason. Shop and compare before you make a buying decision. Don't be intimidated by the urgency close used by many dealers. Ask for referrals of satisfied customers. Ask to see the warranty details. Don't be deceived by the warranty claims of some dealers. The warranty on a manufactured home is one year. The extra coverage is basically an insurance policy that is being sold to you which requires a deductible payment and the work is not performed by the dealer or manufacturer. Also, most dealers only offer a 30-90 cosmetic warranty (if any). 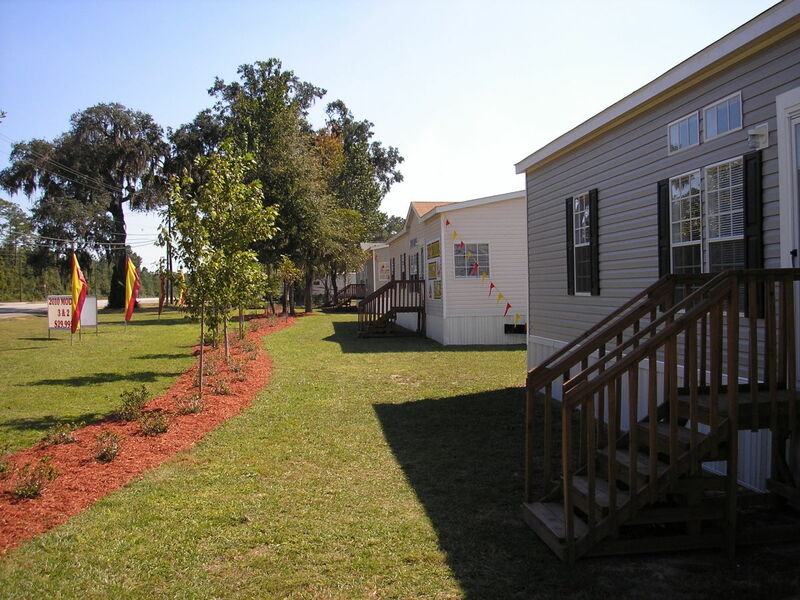 A manufactured home can be a great way to fulfill your housing needs at a very low initial price. If you make good choices, your monthly energy costs can be very low, you may qualify for residential rates for your insurance, and your maintenance costs can be very inexpensive; however, making poor choices can lead to the extreme at the other end of the cost spectrum. So, shop with care. Compare the quality of materials and construction methods. I no longer work in the manufactured housing industry, so I have no vested interest. If you have any questions, I will be glad to help in any way I can. 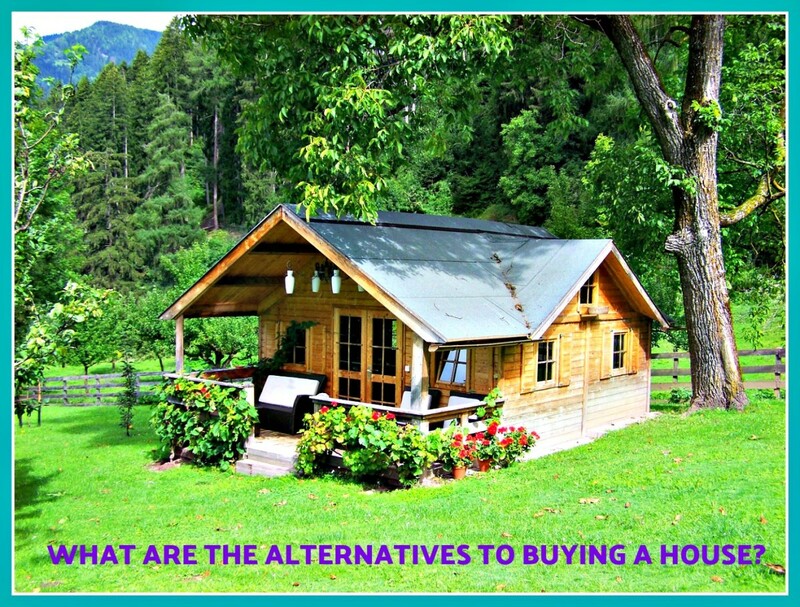 What Are the Best Alternatives to Buying a House? Poe1013, yes I am very familiar with that market. I don't recommend putting a manufactured home over an open basement without involving an engineer to make sure the weight of the home is properly dispersed through the frame of the home. Failure to do so can cause severe stress on the overall structure. Additionally, a basement under the home requires a tremendous amount of maintenance to avoid unwanted moisture and mold issues. In my opinion, there are better ways to provide storm protection. Great article and very eye opening. Do you know much about the Kansas area? We are dipping our tow in the water and want a good quality home to put on a permanent basement foundation. Looked into Schult but have no idea about any other manufacturers that serve this area. Thanks for your time. Hi Lowell, I'm so glad i came across your article. Im looking to purchase a manufactured home for my property this year. Very exciting process. I'm wanting to choose the best manufacture for my area of North Florida. Can you please recommend? So far I think Champion homes has potential and I see you get more for your money with a home built by Lives Oak Homes. I looked at a few others but not sure about the over all quality. I have read horror stoies about homes being delivered with problems and would like to avoid that. I really appriciate the check list you provided amd i will be using it. As a side note my family is is construction and i dont mind doing minor upgrades to the inside. Thank you so much for your time. Epic article. It's nice to have someone familiar with an industry try to shed some light for people. I'm going to try and do the same thing on here. Anyhow, from reading the comments it doesn't look like there is too much discussion about Southern California, however, figured I'd ask...beginning to research...not looking for a yay or nay...just trying to get names so I can research. So far specifically to San Diego I've found Clayton and Champion....anyone know of other builders? Appreciate your time! Thanks so much for the many personal requests for my services. I recently became aware that a significant number of people have tried to contact me unsuccessfully. Please try again if you would like a list of services and fees, or to be scheduled. I ordered a home from Skyline, and even with a blueprint, they could not manage to manufacture it correctly. The floorplan was supposed to be flipped, and it arrived this week NOT flipped, so it would not fit properly on the lot in my park. After much figuring, we decided we could still use the home if it were re-oriented with the front at the back of the lot. I asked Skyline to make the new 'front' more curb appealing since it was their mistake in the first place that now made my house look silly. They refused all of my requests except new columns on either side of the sliding glass door, saying they could just sell the house to someone else. Be careful if you deal with Skyline. Quality control is apparently not important to them, and customer satisfaction is a low priority. Looking for quality MFH on the Olympic Peninsula closest to Sequim. I sent you an email earlier but think l did something wrong. My wife and l are looking to purchase a manufactured home in the near future. Your information is great, thanks. Do you have a recommendation on the different manufactures? We have looked at Jacobson, ScotBilt, Clayton and a few others so far. Please email your price list for your services. We are in Central Florida. Due to many requests over the past nine years, I do provide services now for helping you find a high quality home. Services include basic referrals all the way up to site inspections. Feel free to contact me for rates and a complete list of services. We live in the Central Florida area and will be shopping for a MH shortly. All our savings and profit from selling our home will go into this MH. Thank you for this blog. Its amazing. I wanted to ask you about the paid service you offer. What is that for? I would be willing to pay you for anything that would help guide us to the right place when purchasing. It seems there are many shady dealers in this area and I'm so afraid of making the wrong purchase and running into nothing but expenses down the line with repairs. Thank you again and please let me know all that you offer. Hi, and thank you for that great article you wrote on manufactured homes. I really appreciate you for posting this for the people thinking about buying a manufactured home but aren't very informed about what to look for when buying. My fiancé & I are looking to buy a manufactured home here in New Mexico. 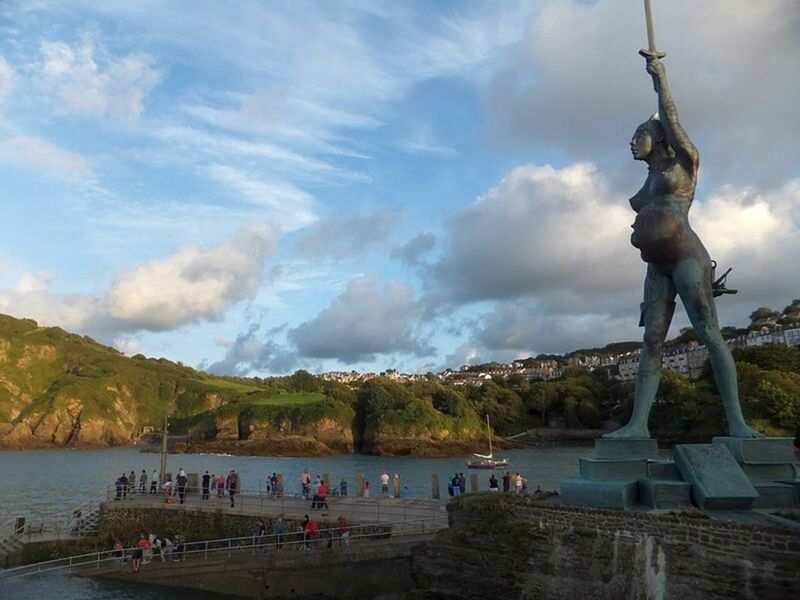 We would love to move into a house but the location at which we live now is perfect. I would love to build a home but I'm not sure we have the funds for it. With that said, what manufactured home companies would you recommend? I've been looking at Champion homes but am hoping to get more options from someone who has more knowledge in manufactured homes. Right now, I feel a little at a loss. We are looking for a four bedroom home and I can't seem to find a company which is best suited for us. I would really love your help, if possible! Cozmic17, having the outriggers extend all the way to the rim joist definitely makes it stronger and more stable for transporting. Do you know if many manufacturers are using full outriggers? And what is your opinion on the value of using full as opposed to the shorter ones? Thanks so much I do Appreciate the unbiased knowledge instead of the "sales training" rhetoric. Deer Valley does have some good quality features available. Just make a checklist to be sure you get the best possible construction. @Landy Moreno - This is a great article with lots of correct info (coming from a retired RE person who has experience with these) but you probably could never get a salesperson to give you any detail about what you wanted. I recently wasted several months with both Palm Harbor and Clayton in the hurricane flood areas. They are basically bait and switch, will not show you what You want but what They think you should have. They won't talk price until they know what you qualify for, which requires a $500 earnest money (refundable) and a credit check. Clayton advertises homes 'starting at' a base price...you will never know what you are paying for, or options they think you should have (like the $495 for the axle..lol), I got 2 bids on the same floorplan, 2 different companies, the numbers never jived. How they both added up was 'baseprice' plus options plus $1000, plus whatever else they think they can tack on to up the price they think you can pay. I called them on the discrepancy, even though the numbers didn't add up, (I had similar quotes from before and after the hurricane), they said for me the price was going to be $6,000 more than what the written quoted numbers said, no matter where I went. They qualify you through Their finance company and know what you qualify for and no matter what, that is what you will pay. I could have paid that but walked away because, as a smart consumer, I'm not going to sucked into their lies and when they couldn't show me standard white trim moldings to compare to the $995 optional white trim moldings they are charging you for, I was done. I told them all their clients must be blind and stupid to fall for their BS and walked out. FYI: I am on fixed income with good credit. With their financing at higher % interest and shorter term of loan I qualified for $78,000. For the home I am now building I qualify for $110,000, same payment for both. I've read your article and every single comment. Thank you for sharing your knowledge with the masses. Your patience at answering the same general questions over and over is admirable. I have and continue to do a lot of research in my quest to find a decent manufactured home. I am in north Texas. I know you highly recommend Solitaire in this area. Researching Solitaire, I find that they also have their fair share of complaints online. It appears that in recent years, Solitaire has moved some or most (not sure of %) of their construction to a facility located in Mexico and this resulted in a few U.S. (Okla, TX?) factories being shuttered. Evidently Solitaire was looking for the cost savings of cheaper labor in Mexico. Complaints have centered on poor quality of construction of the homes built at the Mexican facility. Do you have any thoughts on this or does this change your view of Solitaire? The lack of floor plan choices and customization options seems to be lacking at Solitaire as well. We are specifically looking for a double wide porch model home with the front door on the short side of the home. You mention in an old comment that even if a person were to choose construction upgrades that equaled your recommendations, some manufacturers would still not be recommended because of their construction methods (I think you specifically pointed out Clayton). Could you elaborate on those construction methods that are inferior and how a consumer could identify that inferior construction? I am planning a factory tour of a Champion facility. My idea was to upgrade to meet the standards you've suggested, but need to know what to look out for regarding red flags for construction methods. Thank you for your time, patience, and kind assistance. Any thoughts on Deer Valley heavy built modular (we are deed restricted to no mobiles)? Hi Lowell, is there a way I can send you an attachment? If you read our BBB complaint about Clayton Homes - you will be dumbfounded. We need advice from someone who will listen. We are living in a home that literally moves from side to side when we walk down the hall. We tried to contact you by the link above, but it does not work. Lowell, I'm in East Texas and am looking at buying a Solitaire singlewide. I'm not sure that it has all the features that you've listed in your article but it does have quite a few of them. I know that the singlewides only have 2x4 exterior walls and not 2x6. Only the doublewides have 2x6. I have tried to look for their features lists and so far I can only find it for their doublewides. They seem really well built. Smartside exterior siding, tape and textured walls throughout. (Though I'm concerned about cracking.) They have a 6 inch vented overhang around the entire house. Real plywood floors. Vinyl thermal pane windows though no low e coating. The shingles are 3-tab and not architectural. The showers and tubs are all fiberglass and the sinks are upgraded as well. The metal duct trunk line is wrapped in fiberglass insulation and hopefully this will keep noise to a minimum. (My Legacy was LOUD!) They seem really well built. I don't know about the custom cambered frame. They are going to put shut off valves throughout for me at very little charge. I was really impressed even though it doesn't have all of the features that you have listed. I don't know about the sizes of the doors. I didn't measure them. This will be my second new home to buy but I hope it will be my last. So to your knowledge would a Solitaire singlewide be a good quality home? Also, are metal ducts in all homes the same quality? Are some thicker than others? How would I know? I had to replace the ducts in my Legacy because they were very loud. The Solitaire rep says he's never heard of noisy ducts since he's sold them. I ask this because I know you've worked on them and sold them. I have been holding off on buying a Solitaire primary because of my fear of noisy ducts. I really don't want overhead ducts though since they can't be worked on. I am also nervous about cracks all over though they said they would come out a few times throughout the year to fix them. Anyway I've rattled on enough. Thanks for your time! We are new to the idea of purchasing a manufactured home but we have toured 4 lots of different builders around our area in SE Georgia. We have fallen in love with a Destiny built triple wide. They seem to include a lot of "upgraded" construction concepts that you recommend standard. I tried scrolling through as many of the comments as I could but I didn't see anything anywhere about any experience with Destiny. Do you know anything about them? Thank you for any insight you can offer. Does it damage a manufactured home to drive it long distances? And if so how far is too far? In most cases, a zone 3 home should be adequately designed for your area. I live in Massachusetts which gets very cold in the winter. Can these homes handle Does type of weather? Landy Moreno, rip-off reports and consumer complaint information online will give you a more complete picture. I've been looking into purchasing a manufactured home but I have no knowledge on what to do. I've looked at Clayton, Palm Harbor & Titans. They all seem to say their homes are built better. I'm single parent with 3 kids that lost a home in the recent flood. I need a home that will last and affordable. Good information. I have 30 yrs + in excavating contractor and have done many manufactured home / land packages. When talking to customers who want to buy a MH for their property I remind them to add $35,000 to actual cost of MH. In Central Oregon you are required to have concrete runners, should have block wall skirting, decks or steps, add a garage etc. A stick built home, ie Adair Homes, stick built on site, for example includes foundation system, garage and legal steps or landings. If you can do most of your excavating and concrete, a MH is cheaper but so will be the resale. Most customers get "up side down" financially when placing a MH om property if they don't understand the required extra costs to get an "Occupancy Document" from local County Office. My opinion...a MH Land Package, ready to move in should be 15% to 20% cheaper than a local "Multiple House" builder like Adair Homes. If you're on acreage, you need a septic system, water/power trench regardless of which home you buy. Both types require excavating for foundation system and backfill. But...a stick built home "includes" the foundation for the house and garage, MH dealers do not. Ask MH Dealer for a "turn Key" price. With Adair Homes you do your own painting inside and out and sidewalks, decks and patios. The MH comes painted but 90% of the time its a semi-flat, cheap paint. I'm not an Adair dealer...its just a common "multiple house" builder in our area that is much cheaper than a custom builder would need to build the same home. We have found a good manufacturer in Live Oak Homes. The only problem is their plant is about 400 miles from our home-site location. Is this too far to pull a home without internal damages? Thanks in advance and for your informative article as well. We are considering a manufactured home and live in Cincinnati, Oh. Can you recommend any close? Or any brands that we can look into purchasing from a person looking to sell theirs? I'm so glad I came across this website. Thank you!! I'm considering buying a new mobile home because there cheaper than a house. I live in north eastern arkansas and Clayton seems to be the only dealers in the area. I looked at clayton models a couple years ago and was turned away buy what looked liked cheaply built homes. Reading your blog it seems you agree clayton is the brand to avoid at all cost. It looks like you prefer solitaire over all other manufacturers. Not sure where there made in Texas but I'm about a 8 to 9 hour drive from the dallas area. I understand even the best built mobile homes will stress if the delivery is too far away. I lived in two trailers in the past, both had constant water leaks. Seemed like I was under the home once a month fixing joints that busted. I want all plywood flooring and the best water lines possible. I can buy a house in my area around 120.000 for a decent house, I consider a mobile home only because I could pay off a 60,000 range in 8 to 10 years and say a nest egg before retirement. if i buy a house it will take me 20 years and i'll be at retirement ago with no nest egg to fall back on. What brand to you recommend in my area, also what do you consider the best single wide mobile home manufacturer period no matter the location. I seen enough on my own to know I don't want clayton as I believe around the 15 year old mark you'd have constant maintenance issues. I want a structurally sound home, with good windows and doors and top of the line pluming. i want a mobile home if taken care of and setup right can last 30 years, and that can be remolded after the 20 year mark. I lived in one mobile home that was a pure junk, not from a clean issue, but structurally it just feel apart. Both homes were built mid 80's I lived in. Thank you for all this good info. We live in California wanting to replace our 36 year old mobile home with new. We have inquired in McMinnville, Oregon a factory direct dealer. We are looking at a skyline home. Reviews I have read are not great, but non have been from Oregon. What is your opinion on that brand? What home's are best rated in CA? Wow! I have learned so much from reading this article and its comments. Thank you for sharing your knowledge out to the masses! My husband and I are thinking about buying a USED manufactured home as our starter home, and I was wondering if you had any suggestions as to how to recognize a prebuilt home that bears the quality characteristics of which your article entails? I NEED something of equal quality, that will last. We own a 1993 solitaire double wide in New Mexico. We are considering whether to buy a new one or move this one to a new location. This MH was built great and we have had to do minimal repairs. We have an offer of $22,500 to buy it, but wondering if we should let it go. It still looks great. It seems like this year and model was built better than many new ones. Any opinion on this? Thanks for all the advice! Do you know of a high-end, well-built MH in Eugene, Oregon area? I will steer clear of Clayton after reading this blog. Thanks for the information. Very useful. Some of it never even crossed my mind to think about. You need to find out the NADA book value of the home. I never recommend paying more than the actual value. 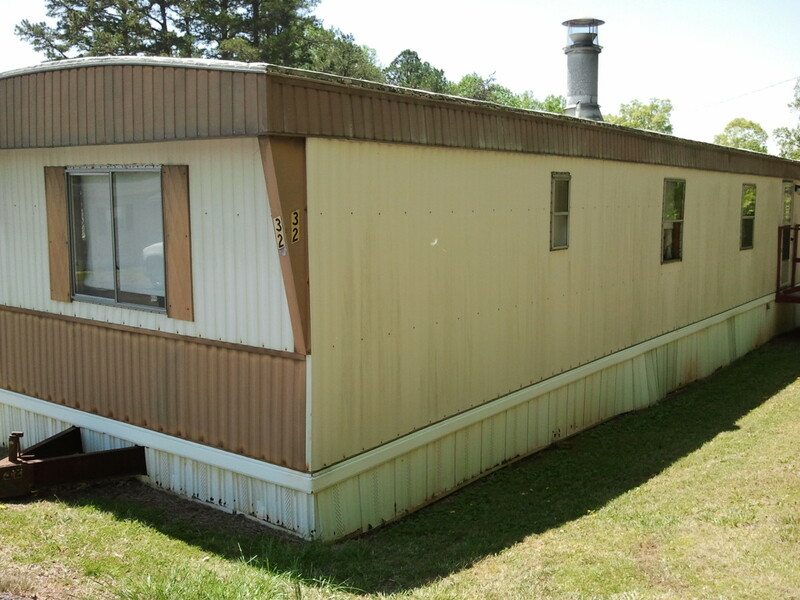 Hello, Im from Ms. and we have found a champion double wide and It has all the upgrades you would want. It looks like a house on the inside. The problem I have is there asking $112k for it and I asked the bottom dollar and he only came off the price $2k. I want to negociate but we are not sure how much. We have a deposit to hold and going to put down payment in two weeks. You know your financial situation better than I do; but make sure you consider the difference in cost and expense. Sometimes you pay more for something that ultimately saves you on insurance, upkeep, maintenance, and utilities; whereas, just because a home costs less up front doesn't necessarily make it more affordable long term. 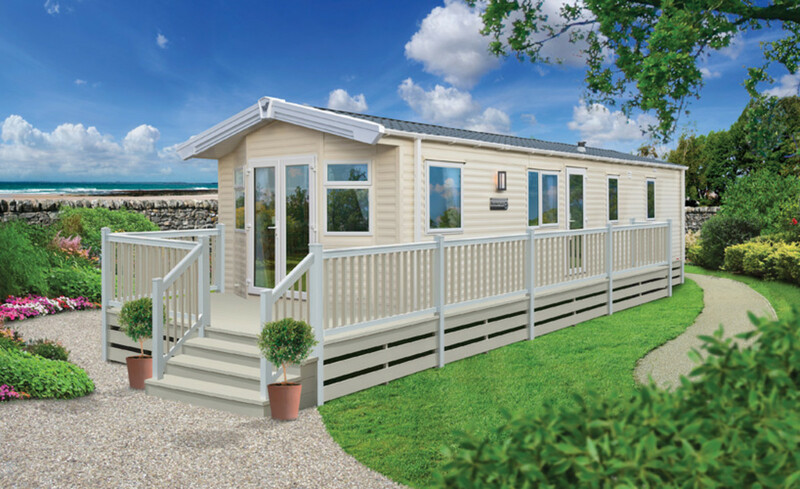 Any recommendations on manufactured home dealers? I also heard of R-Anell Homes? Good info Lowell. and scary. Can't get site email to send. I'm a poor senior trying to stay in Colorado or new mexico. Called solitaire homes, least expensive singlewide just too beyond my budget. Financing USDA so need new/never lived in. Got a 2nd choice in the region? My mail: doublerbar at gmx dot com. Thanks! Thank you so much for this blog !! You may have saved us from disaster with Clayton !! Do you know of any good mobile homes in Minnesota ? We have land in Northern MN and want to place a double wide it for our retirement. Thank you for any help you can give me !! I don't recommend Clayton Homes at all. It is due to the quality of the Homes as well as the common business practices they employ that I have a problem with. A 28 year old manufactured home will likely have plumbing issues that can be very expensive. The materials used then have a bad track record. That issue alone would make me want to check other options if at all possible. I've been reading all the info and thank you for posting it !! We were ready to buy a Clayton from Iseman Mobile Homes in Brainerd, MN. After reading your article I'm worried. Are all Clayton brand double wides a bad purchase ? Brainerd - 18-77362-960 Clayton Kennedy is one we fell in love with but we don't want to have trouble with it. Would you give me your opinion on just this one from Clayton ? We had also looked at Victory Mobile Homes in Pelican Rapids and found a house we liked it's The Tom L Northern Advantage Series Drawing # 160021R . Is this a good double wide ? We have a 1976 Blairwood on 1 and 1/2 acres and it's falling apart . We want to retire there. We have 4 married kids and 9 grandkids so we want to have room for all. What would you recommend for our land near Aitken, MN ? Thank you sooooo much for your help !!! 12" is preferred, and is generally an indicator of higher wind ratings (although some manufacturers have a "shear off" design that makes it a little tricky). Regarding the eaves you mentioned, I am looking at the deer valley. What should the length be? Due to the overwhelming number of requests over the past 7 years, I am now offering inspection services to document (on location) the materials used in a specific home. This is available anywhere in the continental United States. If this is something you are interested in, just send me a private message for the specifics. Solitaire builds their homes in "runs"...only starting production once a minimum number of that model have been ordered. This reduces production costs and mistakes as the line is set up for repetition instead of constantly changing from one model to the next. In Florida we are looking at a 2005 Jacobsen Mobile Home. We have heard that HUD standards changed about then. When did Jacobsen start building to Wind Zone 3? start with better floors? How can I find the R factor in walls, ceiling,floor? Are there serial numbers that would show when the various improvements were cut into production? We are currently looking at purchasing a Cavalier or Solitaire home. Our only issue with the Solitaire is the price does not include skirting and we have to pay to have carpet removed from dining room. However all of the floor plans and models shown to us does not show carpet in the dinning room. I have friends and family who have both brands and all seem pleased. Our biggest issue is Solitaire cannot give us a good estimate of when the home will go to production. We need to sell our existing home and prepare for the new home but without a estimate we are worried to do that. Cavalier dealer has told us it will be approximately 6 weeks from order date. Solitaire says we need to look at what all we want and in the next month start the process of the order. 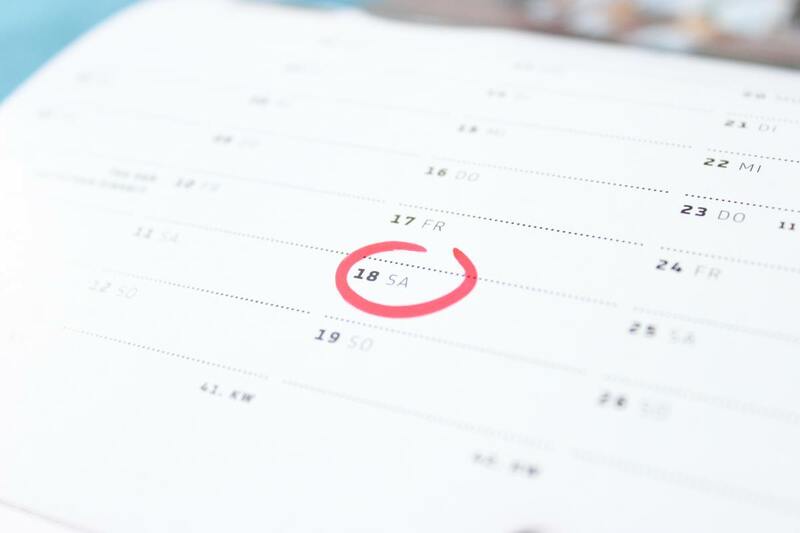 We do not want to move before July and he cannot promise us a date in July because production starts on our model in about 6 weeks and if we miss this production he will just have to see when the next rotation is set. Can you explain Thais to me? Would this concern you as well? Thanks! thank you for such wonderful information! We live in Houston Texas area and plan on buying a Mobile Home. We are seniors and want to live closer to Galveston. Here is my concern ... I have spoken to agents at local dealers. How can I ensure getting an ethical agent. I could really use your advice, should I purchase a new MH for my lot or buy a 28 year old MH, there are a couple for sale in the community I purchased my lot. With all the bad reviews I read, as much as I want a brand new MH I am terrified it will be a terrible experience and there will be issues with the final product. Or do I buy one used knowing I have to remodel bathrooms and kitchen. One of the MH for sale has already replaced all the floors. It was built in 1989. Your opinion is greatly appreciated. I live in Chicago and have no experience with MH. I there really a set lifetime of a MH? Thank you. Anywhoo, we were definitely sucked into the "glamor" and "simplicity" that the Clayton homes rep puked all over us. Quite frankly we were both ready to sign what apparently would have been a deal with the devil so I cannot say thank you enough. Now the question is, if not Clayton then who? We all ready have our land, 18 acres in Wright city Missouri, which is a couple hours south of St.Louis and even my Google searches are just bombarded with Clayton ads... I've been trying to educate myself on the difference between "double wide" and "modular" and so far I've found a few houses through Stratford homes that we really like, are you familiar? If not do you have any suggestions for us Midwesterners? Go with a checklist of the quality materials and features that you want in hand. Wow! The trusses are the main issue, but the wall construction (including whether they installed headers or not) and the frame design (and outriggers) are critical as well. The overall structural integrity is suspect. I don't know of an easy fix for this. There's no way that I can think of to "add to" the existing structure to make it strong enough without making major design changes. Perhaps TJI's and perimeter blocking could help, but I wouldn't go to the trouble and expense without getting a structural engineer involved. Three years ago we purchased an acre of land, in a beautiful Mt. area, it came with a homette 1999 triple wide, (2200 ft) snowy area. We currently have over four feet of snow on the ground. After, over, two feet was on the roof of our home we started questioning our snow load, and found out, to our amazement that it only had a 20psf snow load, when stick built homes in our area are required to have 140psf! We spoke with our county planning dept., and building inspectors, and have learned a lot about manufactured homes, HUD, and snow loads in the past four weeks. How can we increase our snow load, short of building a roof over, or selling our home and starting from scratch? We were told the we might be able to add TJI joist's to the existing roof joists, then we were told that manufactured homes do not have headers over the windows!? If we have to tear out all of our sheetrock to add support I don't think we could bleed that much blood. Any advise would be welcomed. I'm not sure what mobile homes are for sale in surrounding area here. I'll have to do more research. Seems Clayton owns most everything. I registered and searched River Birch and mobile homes but didn't see it. Possible I searched wrong?? Hi Lowell, If you were buying a mh would you even stop and look at the skyline palm springs series or would you just keep driving. Everyone keeps saying their structures are the same... but like buying a car I feel like they are constantly spewing falsehoods. Looking here in central Florida..
You also can file a complaint with the BBB, that will put some pressure on the dealer, but it isn't a form of legal recourse. Are there any other choices in your area? Lowell, thanks for your advice. I did see a Deer Valley, beautiful and well built. It was sold and when I asked Clayton about ordering one, they said Deer Valley no longer builds single wide mobile homes, however "their"builder could and the price suddenly went higher for their builders to build one like that. As in 10,000 higher than Deer Valley. We are walking away from Clayton. Real sketchy, harassing, pushy, interest rates went higher after getting preapproved and lots of fees doubled, more than original quote, and the list goes on. Not to mention saying over and over to bring in down payment (substantial amount) so we could get the home ordered bc if not we would have to wait months longer. We NEVER signed a purchase agreement. The salesperson said the deposit was to insure that we were serious about buying a home. Can they legally keep my deposit?? Well, we were/are serious until too many doubts came up and I decided to do a lil research and was led to your post and a lot of other negative reviews on every site I found. There is a lot of dirt on them if you look for it. I was so stupid! I am usually more careful, google everything. Only excuse is I lost my home in the flood last August and am displaced last 5 1/2 months. I am elderly, severely disabled, on disability and they are totally aware of my situation. You would think they would have a lil more compassion, not be so greedy. So many people lost their homes and I feel they were taking advantage of the situation in my case and how many others?? If not for you, we would have signed those papers yesterday, making the biggest mistake of my life!! Do you know anything about River Birch mobile homes? Deer Valley is available in Louisiana and is, in my opinion, a better quality product than Clayton. Don't discount the bad reviews that you mentioned having found about Clayton. With any manufactured home, you need to start with a checklist in hand that specifies what quality features you want, and then shop accordingly. If the products, services, or retail practices of a particular dealer are inferior, walk away. I'm looking to purchase a 2017 Clayton Energy Smart Home. Any advice on these Energy Smart Homes? I've seen nothing but bad reviews on Clayton Homes. However the model on the lot looked decently built. Is there a reputable dealer and well built mobile homes in Louisiana? It is a third party certification for 130 MPH wind resistance. There have only been a little bit over 1,000 certificates issued since 2009 (when this started), including site-built and modular homes. Palm Harbor's share of that 1,000 is very small indeed. Their claim to fame regarding this is that they had the first modular to be certified. It certainly doesn't mean that all of their homes are constructed in this manner. Some manufacturer's wind rating may meet or exceed the IBHS rating without them participating in the third party certification program. Fortunately, for the smart shopper (like you seem to be), the HUD label clearly.indicates the wind rating in every home. Wow ! I'm so glad I found this goldmine of useful info. THANKS Lowell ! What is the deal with IIBHS' "Fortified" Rating system ? We're looking at a MH for central FL, so it seemed like a good idea against rough weather. However, I can't find anyone other than Palm Harbor that offers it for MHs, which doesn't make sense. Considering their reputation, I'm starting to wonder if it isn't a marketing ploy ? Where do you suggest I go and look? I don't have a clue where to start. I live in North Carolina and Clayton homes is where everyone is telling to go get a new double wide home. Is there anything I could be doing to make sure that I get a quality home from Clayton homes or should I be considering going somewhere else? By the way Clayton homes is literally 15 minutes away from where I live. In my opinion, you are making a great choice. Soliatire Homes are extraordinary. Thanks for the information about Titan's sales staff. Lowell, great write-up. I read every comment, too. There is a lot of food for thought here. In addition to realizing you get what you pay for, it should be noted that most home manufacturers don't provide their specs upfront. As I am considering moving from the west to the south, I came across one that does, in North Carolina. I am not affiliated with them in any way, but Holmes Building Systems lists nearly all of your items to look for in a manufactured home. The standout is that they use vinyl siding, which you pointed out is comprised of recycled material (60% to be exact) and could warp. I think a lot of it has to do with how it is hung and if it is in direct sunlight, though. Anyway, thanks again for your continual support. Typically that means 3/8" drywall covered with a vinyl veneer (sold as "easy to clean", but is a maintenance nightmare). Lowell, a question, if a MH does not have taped and spackled walls but claims it has 'drywall construction' what does that mean? Solitaire Homes actually has a factory and a sales center in Deming, New Mexico (and sales centers in Las Cruces, and Albuquerque). I think I understand your question. A cathedral ceiling still provides some attic space (and bracing); as the pitch (angle) inside is less than the roof pitch. I would say that, yes, in Texas, Solitaire Homes are pretty much unmatched for materials and construction methods. Other homes to look at that can be ordered to specific qualities would be: Deer Valley or Titan Factory Direct. There are are few others that could be on the list as well...none really match quality/price of the Solitaire, in my opinion. Is that to say that the Solitaire is the "Top Shelf" unit in Texas then? Are they the only ones on the top shelf or what would be a good second choice? The closest Solitaire location is several hours away from us. Thanks again for the help. I forgot to add that the better quality homes (like Solitaire) have heavier grade rafters and ceilings joists, higher wind ratings; overall better construction materials and methods...not just added 2x6 walls and 1/2" sheetrock. The ideal version is when the home comes standard with the heavier construction and not only as an added feature (to insure that that frame and outriggers are engineered for the extra weight). Solitaire does have 2x6 floor joists, but they come standard with a 2x grid system on top of that before the plywood flooring is installed. It locks the floor to prevent damage in transit. I don't mind questions, and am willing to help in any way I can. Thanks for your response. Very helpful. Looks like the Solitaire homes are standard 2x6 walls and floors. I watched their video and they have some interesting construction practices. Since the Athens has the 2x6 walls upgrade is that the reason you said it's probably the better built? Would the Clayton upgrade to 2x6 walls and 2x8 floors make it better or do they have other issues? Thanks for you input. I hope you don't mind more questions. I'll probably have some. If possible, since you're in Texas, you should look at Solitaire Homes. I'm not excited about any of the three brands you mentioned...primarily because of quality issues. Of the three, the Athens Home you mentioned is probably the best built. As I have previously stated, Palm Harbor in particular has a nationwide reputation for dishonest practices. 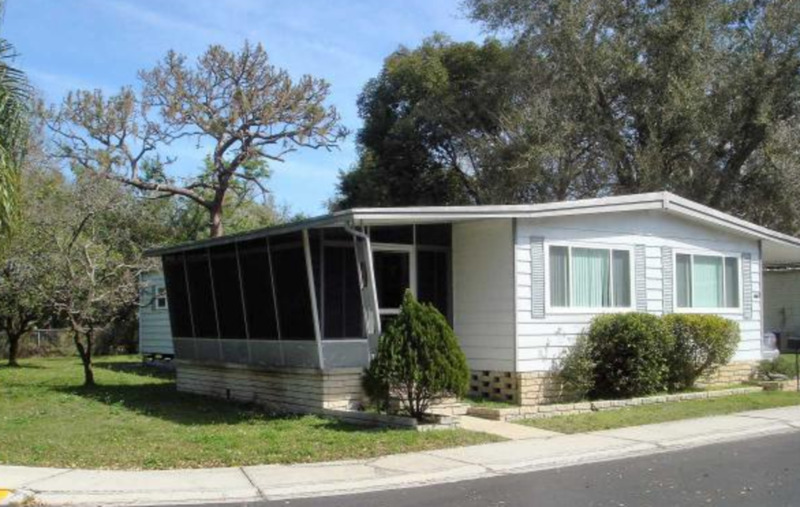 We are looking to buy a double wide for our property in Englewood, FL. Narrowed down to Jacobsen with Lee Corp located in North Port and Champion with AAA Manufactured Housing located in Tampa. Do you know if one is better than the other as far as quality? I'm not finding any reviews on AAA Mfg Housing so not sure if reputable business. Any input is appreciated. Thank You. Thank you for responding so quickly. I have a list. Silvercrest, Fleetwood, Ma Williams, Pacific, Skyline, Golden West, and Champion. I would appreciate any information you can provide. Thanks in advance. First, many, many, thanks for the help you're providing, both to myself and others here. Secondly, the local dealer seems very legit. It's a second generation family-owned dealership and has been doing business in this same very small town for over 45 years. All the principals seem to be family members, and the few folks I've talked to speak highly of them. Having grown up in a small southern town, I have to believe if they didn't treat people right they would no longer be in business. That's especially true as there are other (supposedly much higher volume) dealerships in larger towns a fairly short distance away. Based on (purely anecdotal) observations, I think this local dealer sells the majority of MHs into the local market, and there are a LOT of these homes scattered about the rural area. I don't think there's anyway to absolutely nail that down, but based on observations, a total lack of any complaints turning up on the internet (the only mentions being a few (3) very positive reviews on a non-affiliated site), and a 'feel' when talking to them, I'm pretty sure the dealer is legit. My only real concern is their product lines. I truly appreciate your offer of continued help and will be checking back with you as things develop.